We disembarked to the chaos of claiming our dive kit back as it had been put in the wrong container and stored it safely away until the next morning. 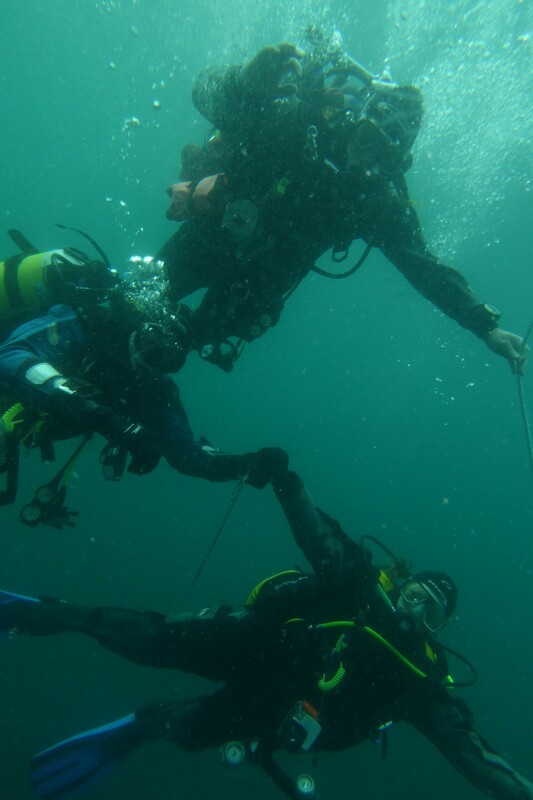 We met up with the rest of the dive party for the week – a motley crew of Eden Divers, ex-Kingston & Elmbridge members as well as the 4 of us representing Putney. 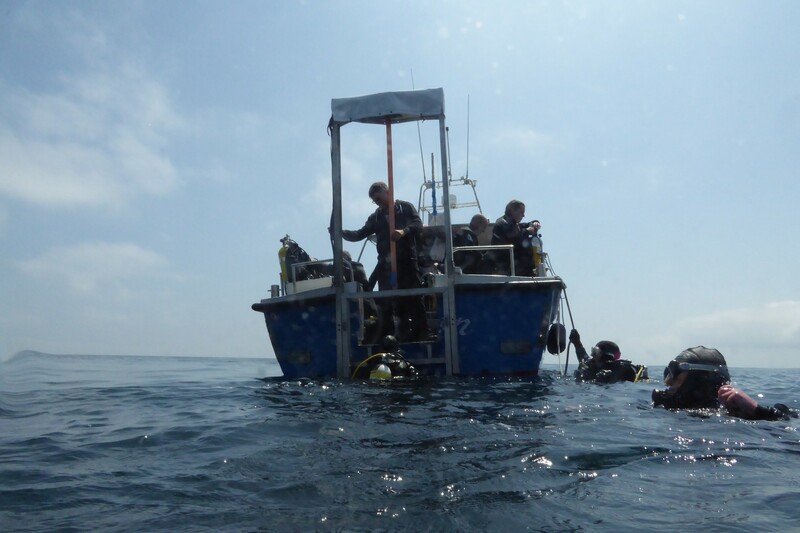 The first days diving was a fairly relaxed mosey around the Lady Charlotte (wreck) followed by a treasure hunt on the Jura that turned out to be mainly kelp. On the second day we got down to the serious stuff with the nudibranch and jewel anemone-covered Trenemene Wall with the odd curious seal thrown in. It was heaven for those of us who love the little critters, and Brian enjoyed watching the seal following Cameron around – unbeknownst to him! 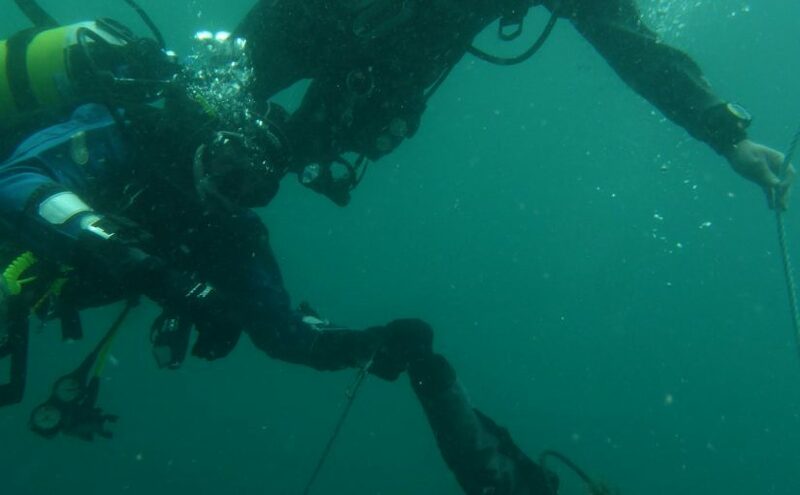 Second dive was on the Plympton/Hathor – 2 wrecks for the price of one, where Cameron got some depth progression and the rest of the metal heads were very happy with bit of engine, boilers etc. In the afternoon we set off for St Martins in search of jewelry (well some of us!) and a change of island scenery. 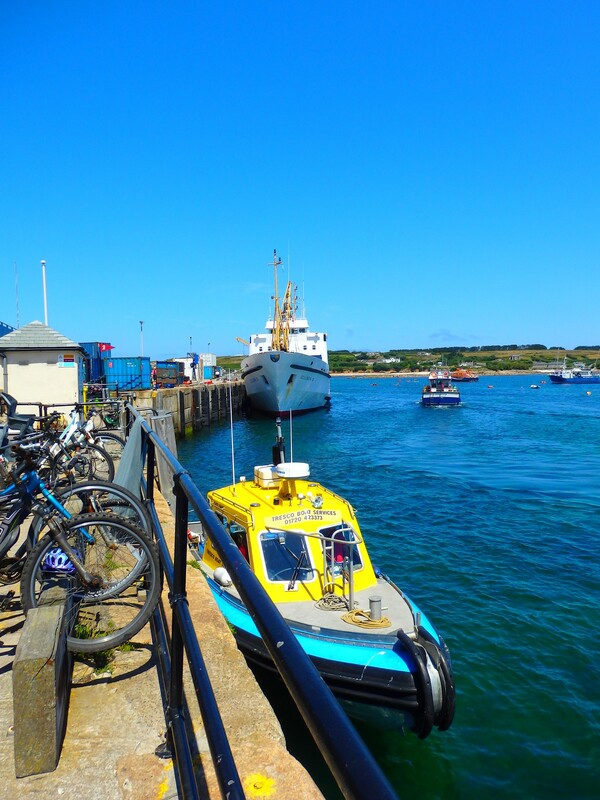 While on a walk around one end of the island, Stephen decided to stop to take photos and got “lost” – luckily he found his way to the only pub on the island and got a round in before the ferry left for St Mary’s. The next day, we managed to keep everyone happy with a dive on the Italia followed by a visit to Trinity Rock for more nudibranch action, followed by the epic Tim’s Crack where there was a lot of excited nature lovers and a very bemused seal. The next dive on the Delaware proved how good the skipper Dave was at putting a shot in, and we returned again to the Plympton/Hathor again for our first dive on Thursday followed by Black Rock. 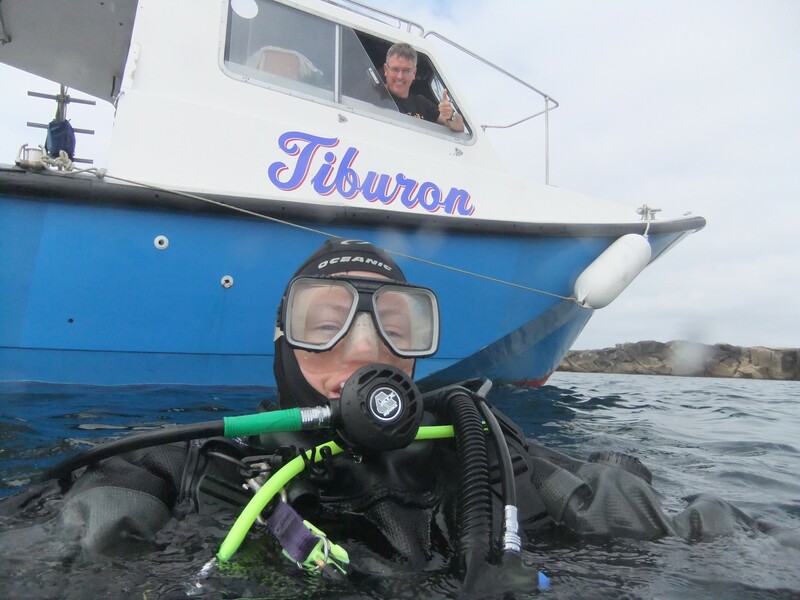 Our last day was a first dive on the bow of the Cita – the Scillies most recent wreck – a container ship that sunk in 1997, and finally a seal dive on Menawethan Rocks where one of the seals took a very keen interest in Brian (there is video evidence). Most evenings, we were to be found at one of the pubs or restaurants in St Marys, for quality checking purposes of course! A couple of new places were given the thumbs up, and the Beach on Porthmellon Beach was so good, we went back again for lunch before the ferry on Saturday. Something to do with the char grilled local lobsters….. 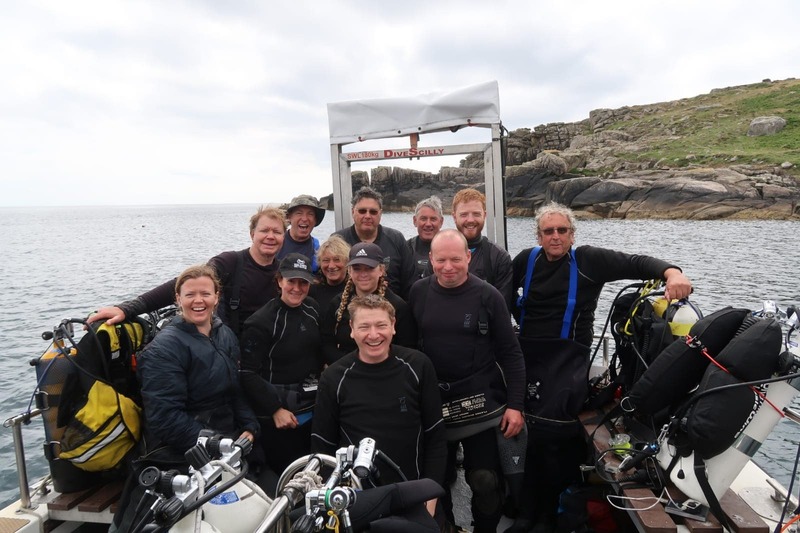 It was overall an amazing trip, and with a mix of diving interests, we got in a mix of the best wrecks and reefs that the Scillies has to offer.